Not only did Gwendolyn Brooks break down barriers for women and African Americans during her lifetime, but as a poet she is unmatched. Original and warm, each turn of the page is a surprise. While not confining herself to any one particular form or topic, she lets you live a hundred lives in this small volume. You'll want to read these aloud--her poetry really is music. "Art hurts. Art urges voyages--and it is easier to stay at home." Gwendolyn Brooks (1917—2000) is the Pulitzer Prize-winning author of Annie Allen and one of the most celebrated Black poets. She also served as consultant in poetry to the Library of Congress—the first Black woman to hold that position. She was the poet laureate for the state of Illinois for over thirty years, a National Women’s Hall of Fame inductee, and the recipient of a lifetime achievement award from the National Endowment for the Arts. Her works include We Are Shining, Bronzeville Boys and Girls, A Street in Bronzeville, In the Mecca, The Bean Eaters, and Maud Martha. 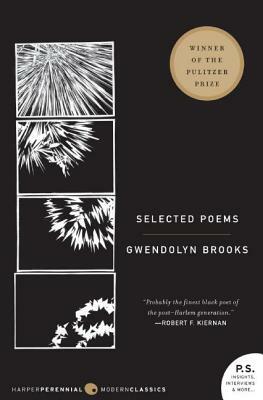 You can find out more about her at www.gwendolynbrooks.net.